In the last couple of days we’ve had a number of hikes at the base of the Tetons(pronounced teetons), this dramatic range which sit just beneath Yellowstone on the Western edge of Wyoming. These formidable mountains eluded Moran on the Hayden expedition and even in later life his attempts to experience them fully were limited to views of their shape from a distance from Idaho on the East. His famous works of the mountains are thought to be composites from his sketches of what he was able to sketch and interestingly from comprehensive photography made by his good friend Jackson in 1872. In this sense I feel extremely lucky to be able to experience the full impact of the area as Moran would have no doubt wished to. Particularly the woodland hikes, at the lower levels of these mountains, give a sense of being dwarfed by some of the tallest trees I’ve ever seen. This is then exaggerated even further by glimpses of the peaks which loom over the canopy which breaks shafts of sunlight. ‘The Cathedral Group’ of the Teton Range. The range culminates in three competing peaks called the ‘Cathedral group’. 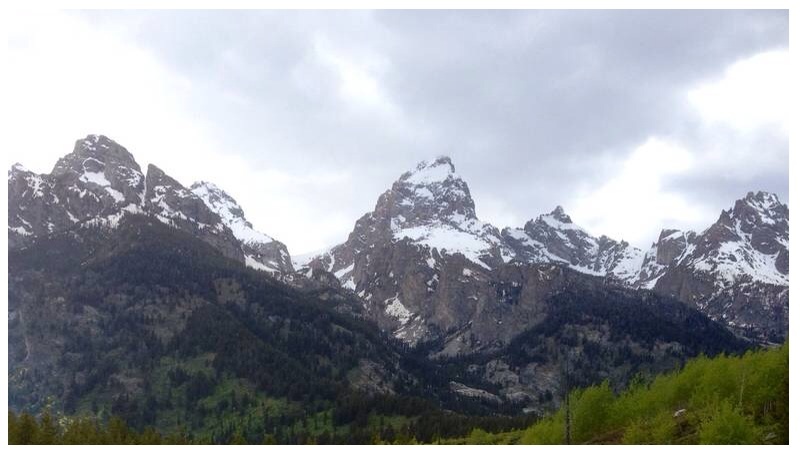 The middle of these, ‘Grand Teton’, creates a majestic pinnacle with a very distinctive hook at its summit. Rising from a number of crystal clear lakes with a very dramatic incline. So aggressively has the rock been hewn by glacial forces this central group resemble claws, cloven at the base with dense fir and grass giving way to blue green granite, shining pink in late evening. 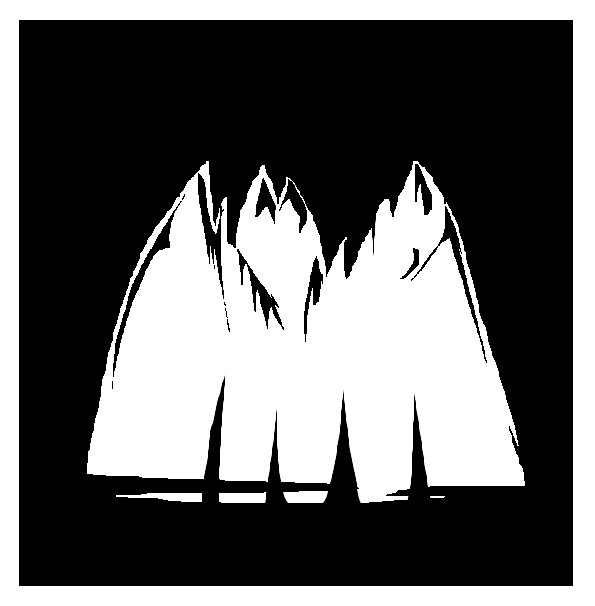 It’s almost as though the mountains are engaged in conversation and the character of this visual dialogue changes subtly depending on where you view them from. We completed a substantial hike to the tumbling ‘hidden falls’ around Jenny Lake and I was able to sketch for the first time, feeling a little rusty as I’ve not held a pencil in a while. We had chance to speak at length with some fellow hikers about the threat of bears, also sharing the surprise encounter with a Ruffed Grouse. Initially we all experienced a strange vibration as though something was drumming on the path, we realised the bird had alighted nearby, and was using its wings to make air claps which seemed to resounded all around us. Further North in the range is Mount Moran, named after you know who, and that is the destination tomorrow. Great sketch and blog.The pencel drawing really helps create atmosphere. Thanks Kev, will hopefully be more sketches to come soon. Time is the biggest issue Peter, trying to see as much as possible, so photography seems to be the best way of recording things speedily. I might have more time in Yellowstone, tomorrow’s destination. Thanks very much for the comments. 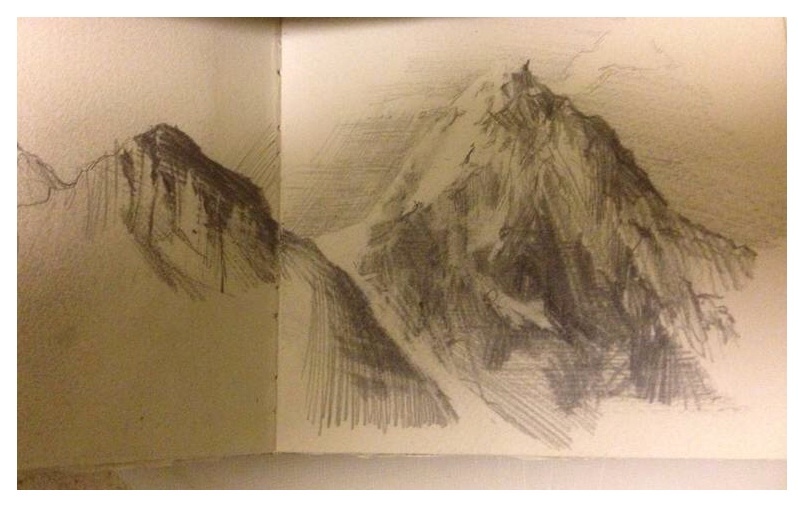 Lovely sketch Jim, could almost me Pavey Ark.